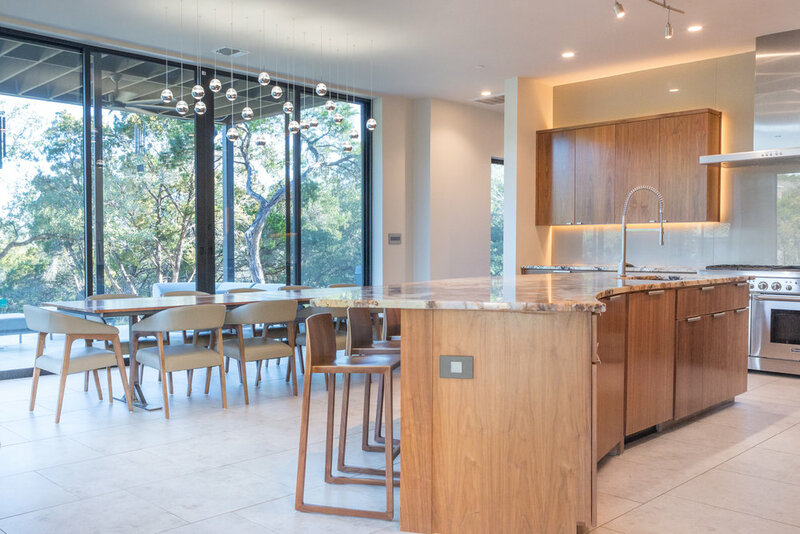 This modern home nestled in the Austin hills was exquisitely designed to bring the outdoors in. Conceived as a “simple shelter in nature,” the structure reflects the homeowners’ wish not to disrupt nature, but rather to allow nature to move through it. 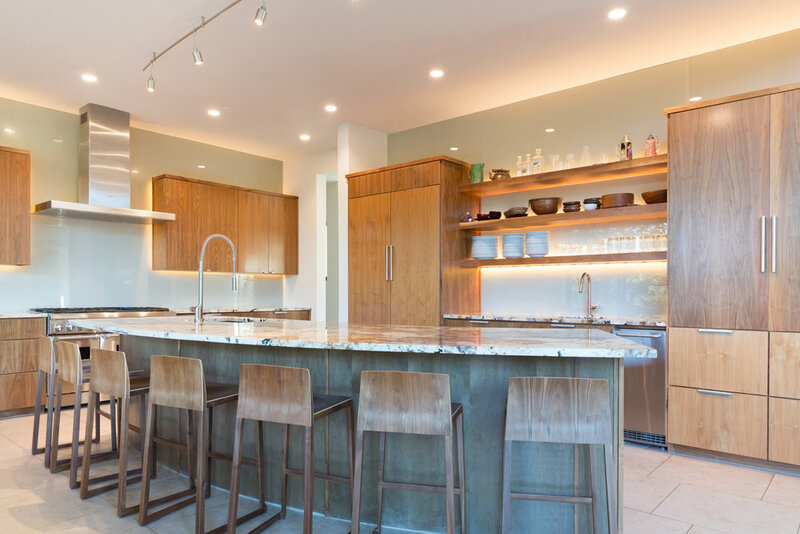 They envisioned a modern and simple yet warm home that was livable and complimentary of its surroundings. When the homeowners started the process of building this dream home, they decided to bring in a designer to help. 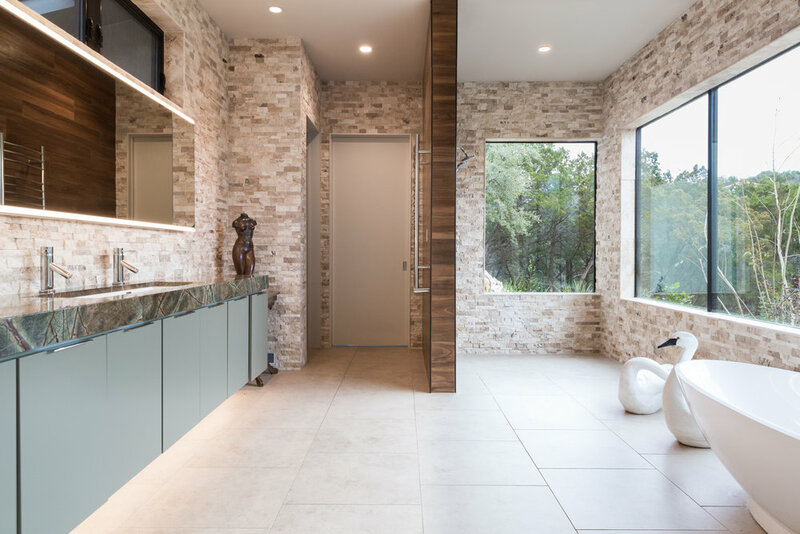 Next Level Austin’s Janice Hanks helped develop their vision and worked closely with the architect to create the perfect design. Selecting materials was the next step. 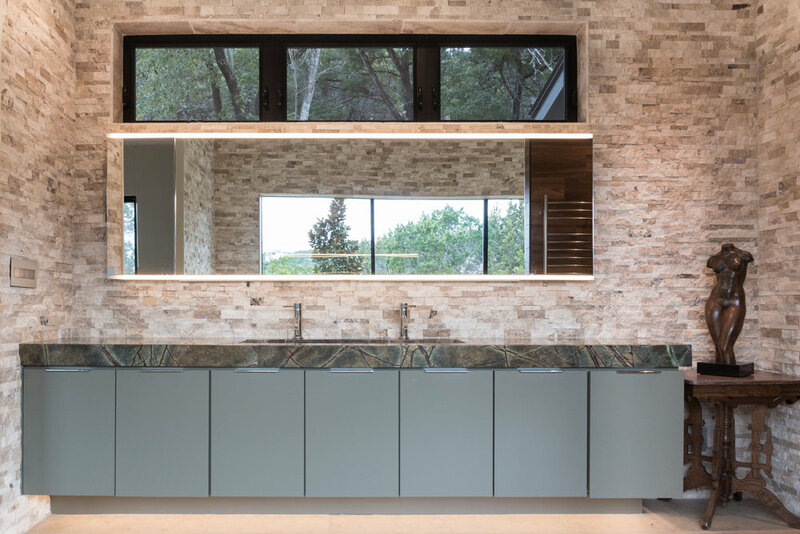 Janice and the homeowners drew inspiration for color and texture from the natural surroundings: limestone ledges and outcroppings, live oak woods, and the hills and creeks of the surrounding land. They carefully sourced materials that would be a continuation of the home’s natural setting. 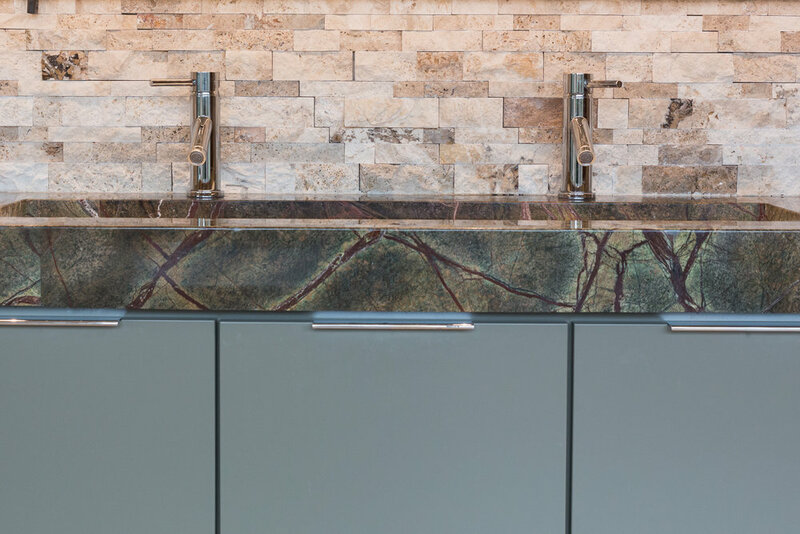 The stone wall, inspired by the naturally occurring limestone, runs inside and out. 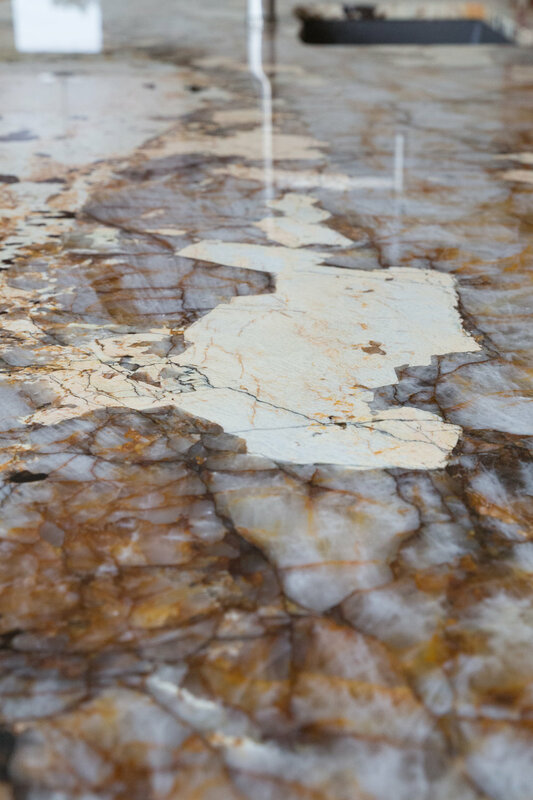 The pattern of the earth-toned Barbados Sand granite mimics the flow of the creek that runs alongside the property. The dining room table was hand-made by the owner, and the lighting overhead was meant to imitate stars. Each bulb was hung individually and creates a beautiful glow at night. 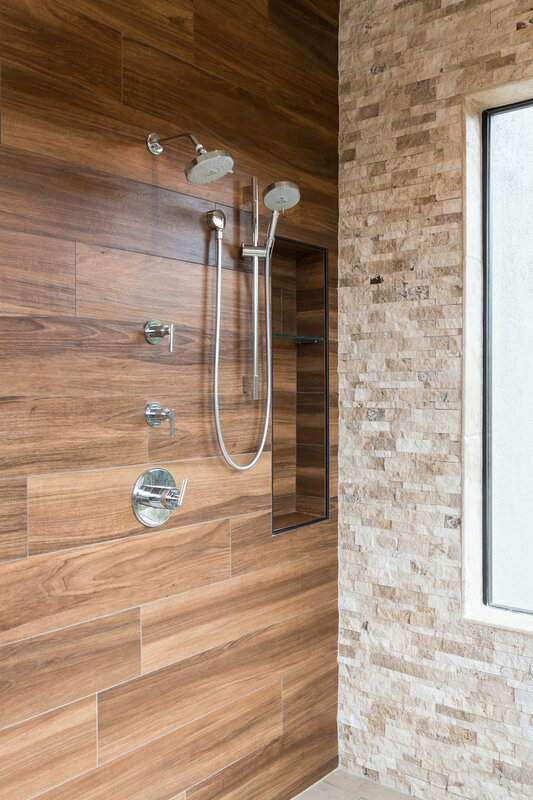 The granite in the master bath was chosen for its resemblance to the surrounding trees. The family room, with floor to ceiling windows, was designed at a specific angle to reveal the moonrise at night and the sunrise in the morning.